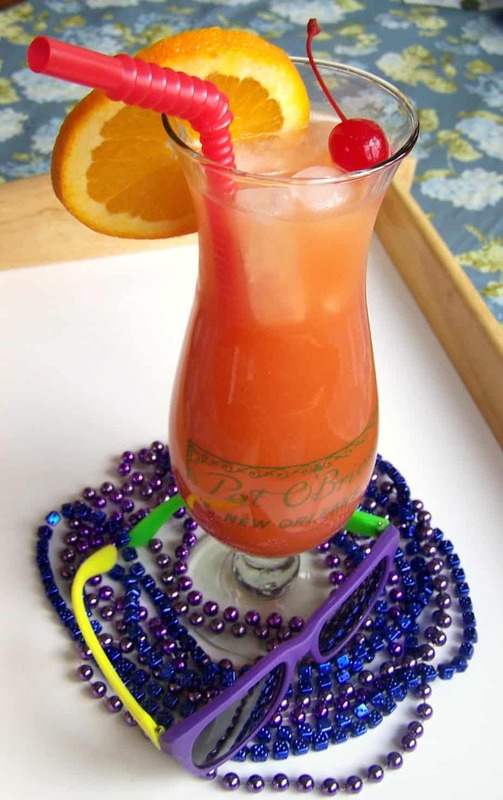 The words of Alan Jackson’s country song (joined by Jimmy Buffett) come to mind every time I make this Hurricane Drink Recipe. 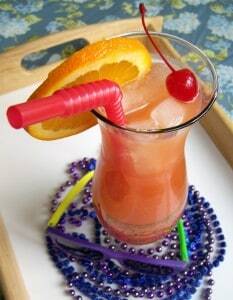 Whether it’s Mardi Gras season or a hurricane is approaching the east coast, we think of this Hurricane Drink Recipe. After we’ve battened up the hatches and stocked up on emergency essentials, we might as well make lemonade out of lemons, right? I included the Mardi Gras beads and sunglasses because New Orleans is the very first place that I ever drank a hurricane, at the infamous Pat O’Brien’s in the late ’90’s during Mardi Gras. 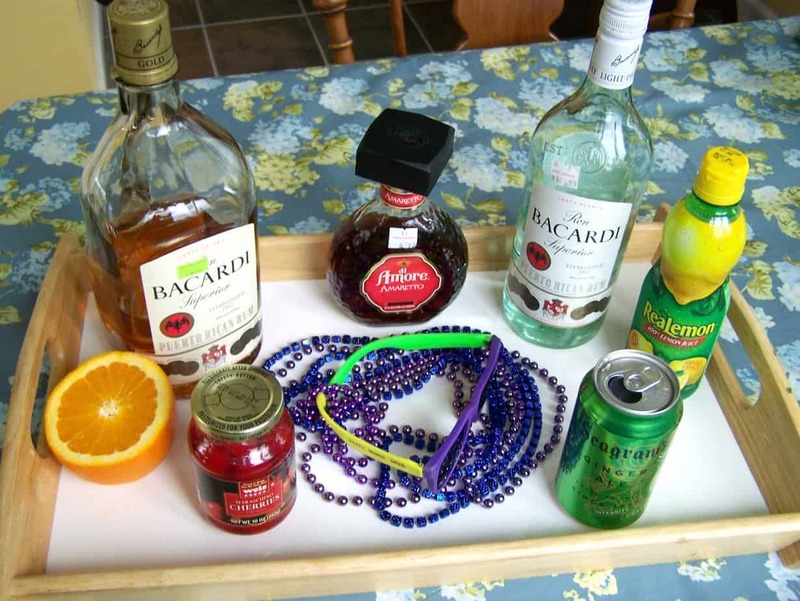 Believe me, I caught more beads than this. I brought this glass, the beads and the sunglasses back home as souvenirs. 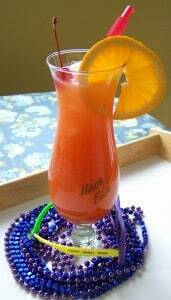 Little did I know several years later, I’d be breaking it back out again to make my very own Hurricane Drink Recipe. I’m calling this the Housewives Hurricane Drink Recipe because I added an additional ingredient that did not come with the classic Hurricane recipe – Seagram’s Ginger Ale. 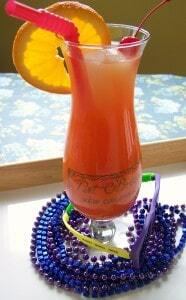 Brings back memories of being on Bourbon Street and watching the many sights, and I mean sights, of Mardi Gras. Please only make this drink if you are 21 or older. Have a designated driver if you are not at home. But if you are at home – Hey!! It’s 5 o’clock! Enjoy and please stay safe! !